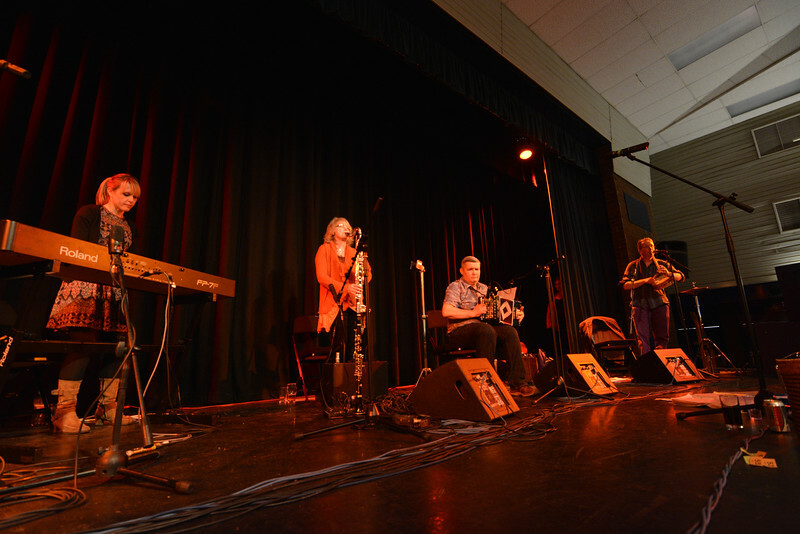 We have had great feedback on the sound of our interesting instruments – these instruments look great, are by fantastic instrument makers, and are great to dance to! 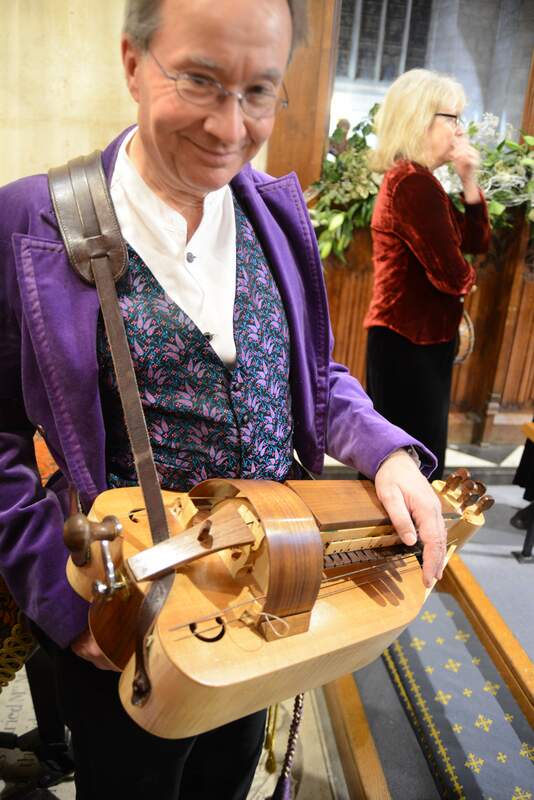 The hurdy gurdy, lovingly crafted by Mike Gilpin in Cambridgeshire, is based on Hieronymus Bosch’s painting of hell, the earliest detailed picture of a hurdy gurdy with the “chien” buzzing mechanism. 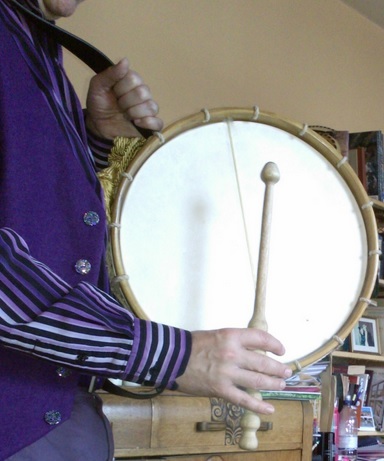 Andy is immersed in and develops the rich English taboring tradition, having learned from and played with Russell Wortley in Cambridge, who had sessions with Joe Powell the taborer of Bucknell Morris, the last pre-revival morris taborer. Carles Mas is internationally renowned as an expert on flabiol and pipe and tabor, and has performed wonderfully at the Arbucies Festa del Flabiol in Catalonia and the International Pipe and Tabor Festival. His tuition at the Chalemie Oxford Summer School was inspiring in giving a new additional taboring technique to taborers from England, the United States, and New Zealand. The technique works best with a large diameter tabor that can be tuned to the fundamental note of the majority of your performance (see Steve Rowley’s private youtube). Steve Rowley has arranged for Marcus Music to make tabors like this as pictured below. The tabor position should be such that the struck head is roughly vertical. The taboring technique is based on rotating the hand around the axis of the forearm to hit the skin, hitting the centre of the skin for the fundamental “tum” sound, and moving the forearm up to hit near the edge for a fifth above the fundamental “tik” sound. 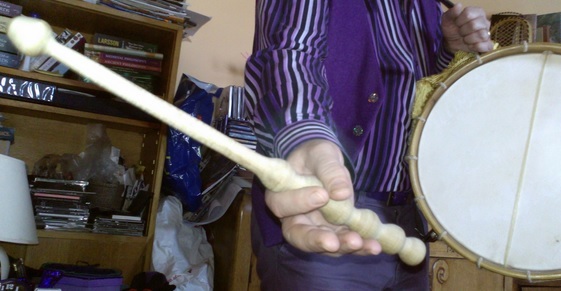 The loose hold of the stick allows this to be controlled as a “tiki” sound for 2 beats in one rotation of the hand, or for 3, or 4 beats. These basics are then developed on for more complex rhythmic taboring patterns, if playing for dance using the “tum” as a driving beat and making the tabor beats follow and help the dancers’ steps. It is possible to achieve a driving lift with a “tum” immediately followed by cutting the sound with the hand. 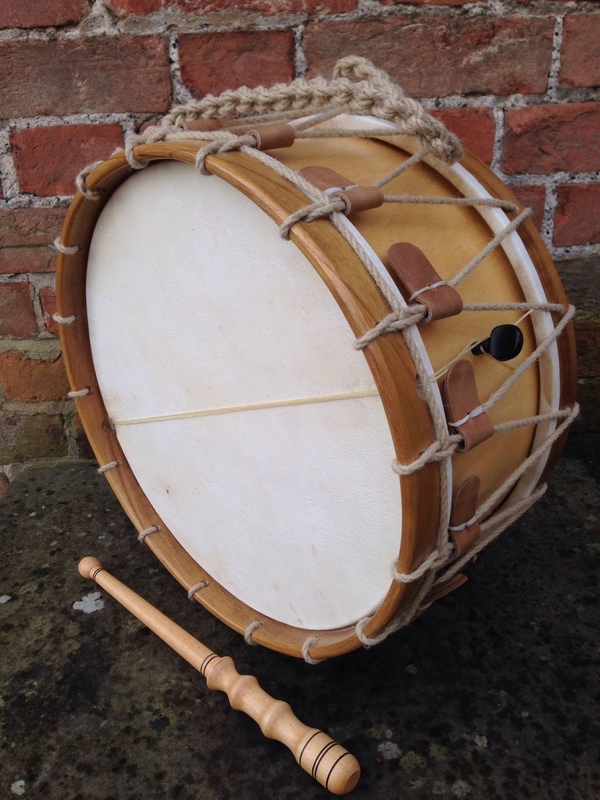 Further variations are achieved with rim shots, and hitting other parts of the tabor skin such as the edge at the same level as the centre. Fiz’s bass clarinet, a Leblanc Esprit, often has lovers of its sound coming up to examine it at the end of a performance. Its lovely low notes give great musical texture and dance drive!